Sony Computer Entertainment Europe announced this morning that Patapon will be released across Europe for the PSP on February 22nd, giving us Europeans an early start as we'll get it a couple of days before those of you living in North America which is a nice change. 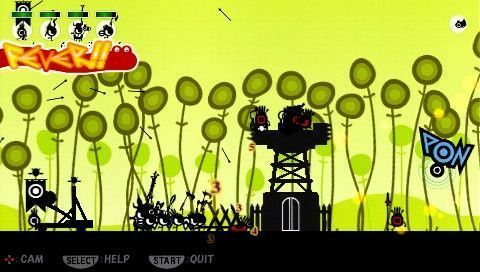 Patapon is a 2D game from the creators of LocoRoco. For years the Patapon tribe has lived in the desolate frontier, driven from their home by the evil Zigoton army. Behind the Patapons' cute exterior, lies a fierce warrior spirit that can only be commanded by the beat of their God’s war drum. They wait for the day that the "Almighty" will return, to lead them against their enemies and bring them back to their homeland. Finally, their wait has come to an end as the drums of war are heard once again. Expect to see our review of Patapon near to its release.